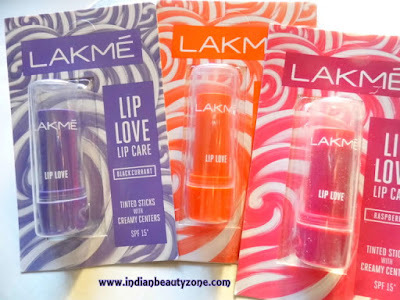 Fall in love with Lakme lip Love! Luxurious creamy core that moisturizes your lips. Swirl of colour for a hint of tint. SPF 15 helps protect from Sun damage. They are tinted sticks with creamy centers and SPF 15. 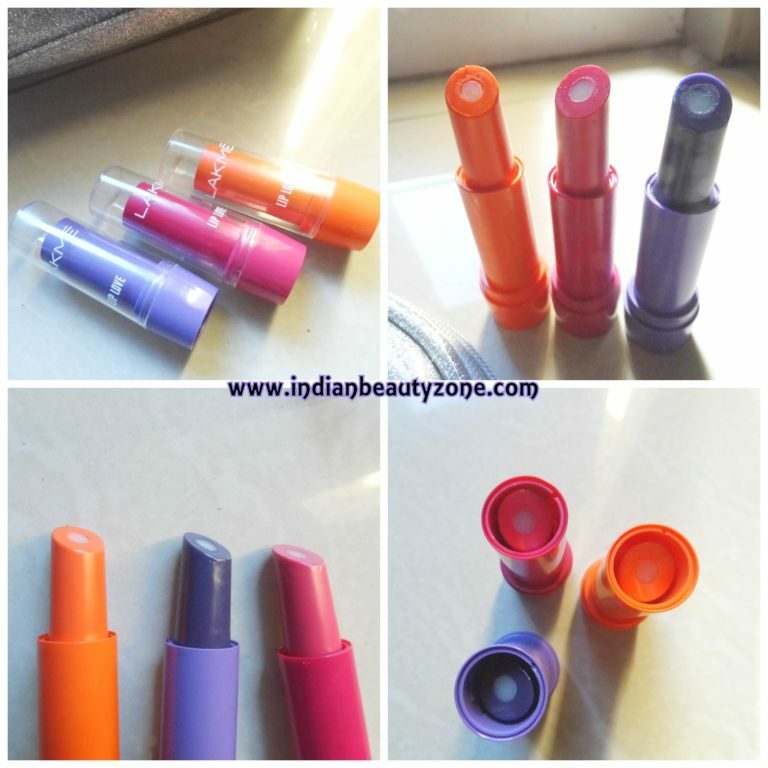 The lip balms comes in the shade colour bottom with transparent lid where you can see the lip balm stick visibly from outside. The top lid is tight and perfect to protect the lip balm stick, so you can carry around with you to apply anytime anywhere, I meant travel and user friendly. 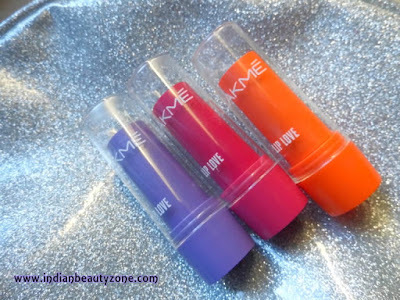 There are 3 shades I received for review, they are Raspberry, Black Current, Tangerine. The Raspberry shade is a common one and is suitable for everyone. But, the other two shades are bit different for Indian skin tone unless you are very fair to make visible of these shades on your lips. Otherwise one need to accept this tinted lip balm as a plain lip balm as those two shades won't make difference on a medium to dusky skin. The lip balms smells tasty and the smell lingers around your lips for sometime after applying and stimulate your taste buds to have some sour fruits. The lip balm has SPF 15 which is a good point for Sun protection for your lips. It stays barely 1 to 2 hours without any meals or drinks, one need to reapply it throughout the day. The tint also not much visible on lips other than Raspberry shade. But they are extremely moisturize your lips and the hydration effect lasts for 3 to 4 hours on the lips. 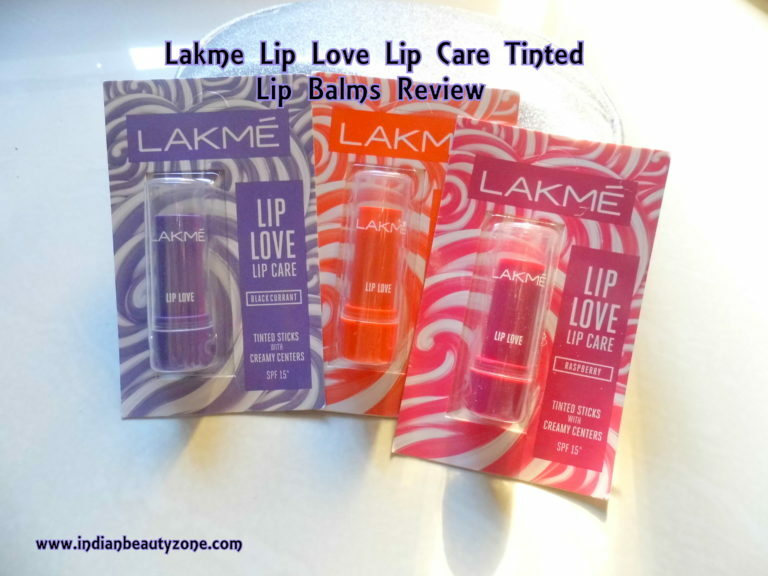 Overall these lip love lip balms are great for lip balm lovers but needs to be improved in the tint and staying power sections. 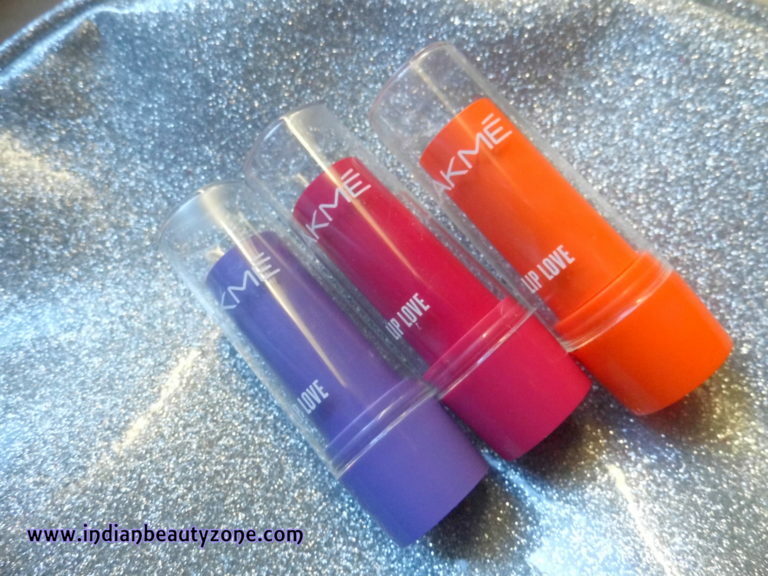 Gives a mild tint with glossy look to the lips. Some shades are there to choose. Other than Raspberry the shades are not much visible on lips. Lakme Lip Love Lip Care Tinted Lip Balms are good choice for those who wants a lip balm with SPF protection with tinted effect. They are hydrating the lips well.